Thank you to Media Masters Publicity for these awesome books! As always, all opinions are my own. When it comes to Easter baskets, I don’t like to fill them up with candy. 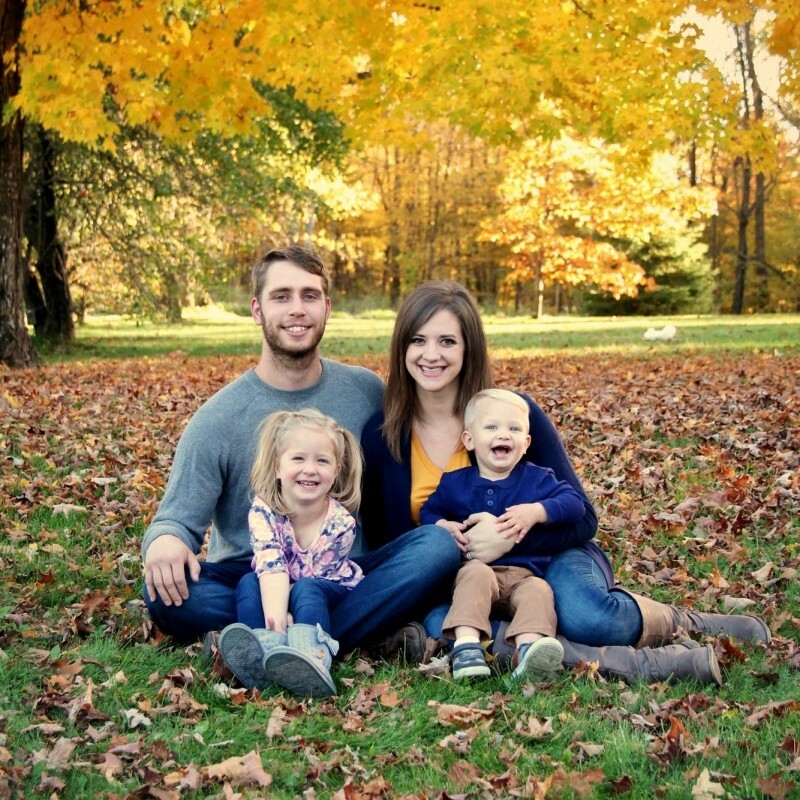 Our kids get enough sugar as it is, and with multiple Easter gatherings with various family groups, the amount of junk food we come home with is sometimes overwhelming. 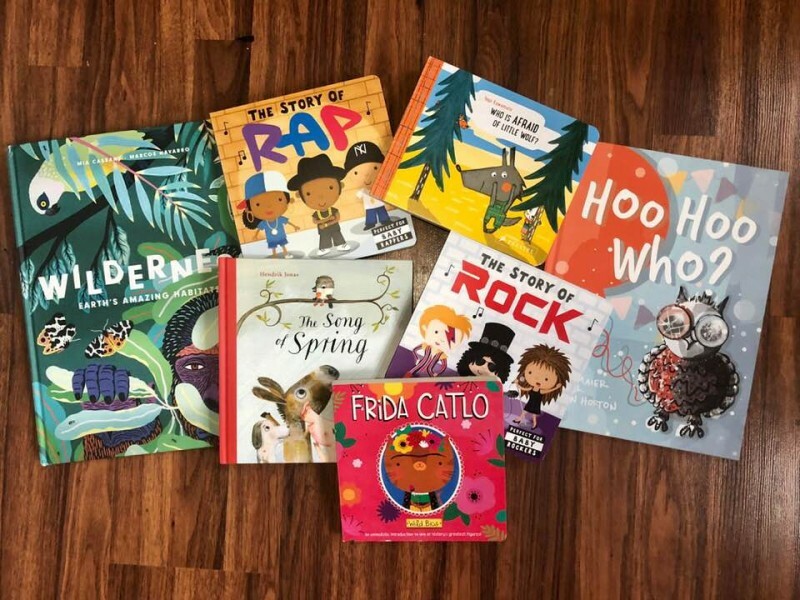 One thing we DO always love to put in Easter baskets is books, and I turned to Media Masters Publishing to add some of their new titles to our Easter baskets! Who is Afraid of Little Wolf? 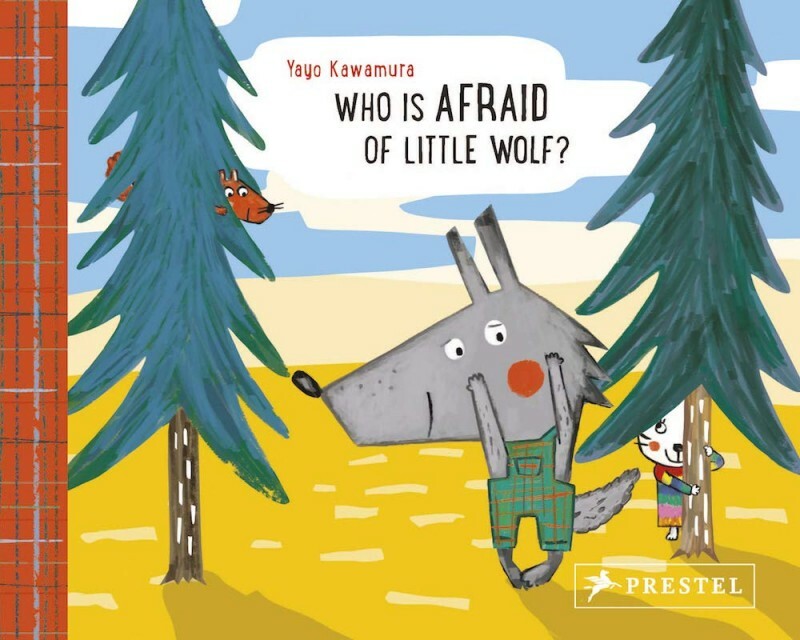 by Yayo Kawamura is an enchanting board book that follows Little Wolf as he searches for someone to play with and carries a simple yet profound message about prejudice and preconceived notions. Little Wolf is bored, and so he asks some other animals to play. But no one wants to join him because their parents have told them not to play with wolves. But when Little Wolf meets a bee, she is brave enough to play. The others see there’s nothing to be afraid of and decide to join in. With bold colors and appealing characters this book packs a powerful lesson about overcoming prejudices and not judging someone before you know them. I absolutely love this book and I think it’s an especially important message for our kids in this day and age. It’s finally spring and birds are calling out to each other in The Song of Spring by Hendrik Jonas. One bird has forgotten which sound to make. He tries “Woof,” and meets a dog, who encourages him to try “Oink,” with the expected result. Each successive call adds another animal friend to the page. Will the young bird find another bird friend? 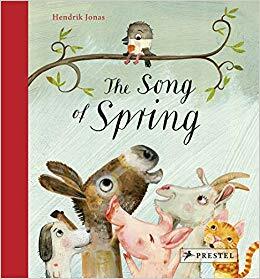 As young readers are introduced to each type of animal and their sounds, Hendrik Jonas’ clever illustrations grow increasingly crowded. The result is a beautiful celebration of friendship that will delight young children everywhere. Our three year old son is going to LOVE this book since he loves animals of all kinds. 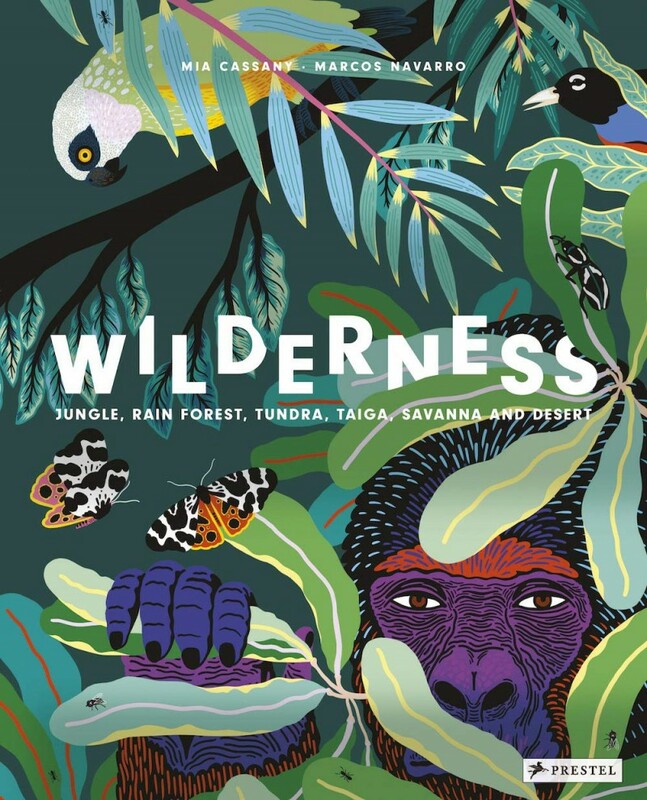 Wilderness: Earth’s Amazing Habitats by Mia Cassany and illusrtated by Marcos Navarro takes young readers to the planet’s wild regions, including forests, jungles, tundras, and deserts to discover the animals that call it home. Beautifully colored and intricately detailed illustrations depict places as exotic and wide-ranging as Senegal’s Niokolo-Koba National Park, Russia’s Sikhote-Alin mountain range, the Sinharaja Forest Reserve in Sri Lanka, Daintree National Park in Australia, the Mexican desert, and China’s bamboo forests. The animals that live in these remote places, cleverly hidden in the trees, plants, and flowers, create a marvelous challenge for young readers to find and identify. Each spread contains more than twenty different species including birds, snakes, frogs, iguanas, leopards, tigers, gorillas, pandas, and wolves. Our six year old daughter is very interested in animals and geography right now, so this will be right up her alley. 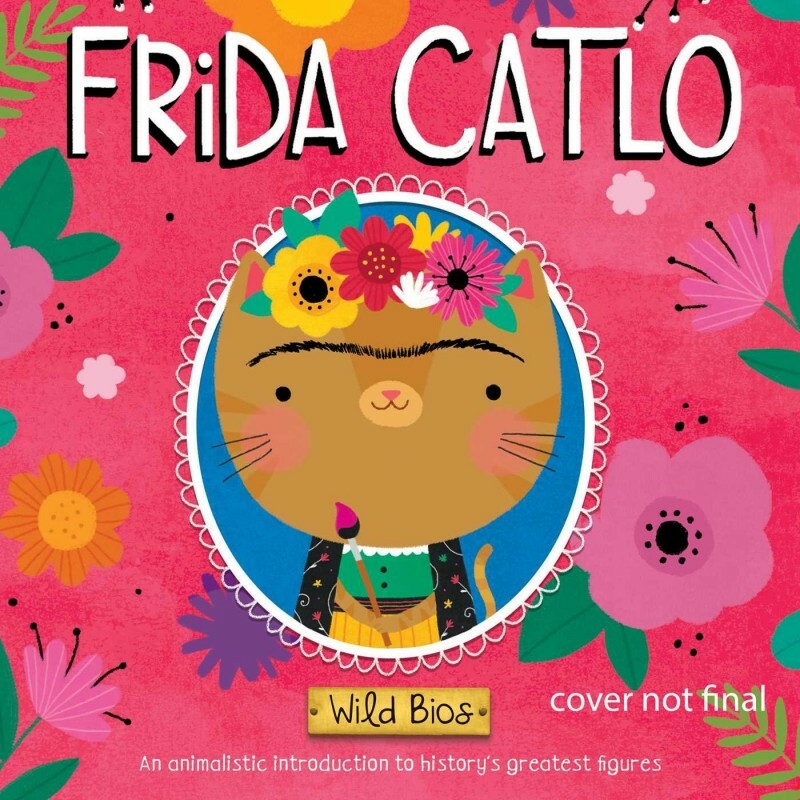 Wild Bios: Frida Catlo is the first title in a new series of biographies featuring well-known historical figures with a surprising twist that makes them accessible and engaging for even the youngest readers. Meet one of history’s greatest figures in this adorable board book with an animal twist! Famous Meowxican painter Frida Catlo was a pioneer for female artists. With hilarious puns and colorful illustrations, this book brings Frida’s legacy to life for babies and parents alike! As a former art major, this book really appeals to me. With its bright colors and adorable puns, I can’t wait to share Frida Kahlo with my kids. 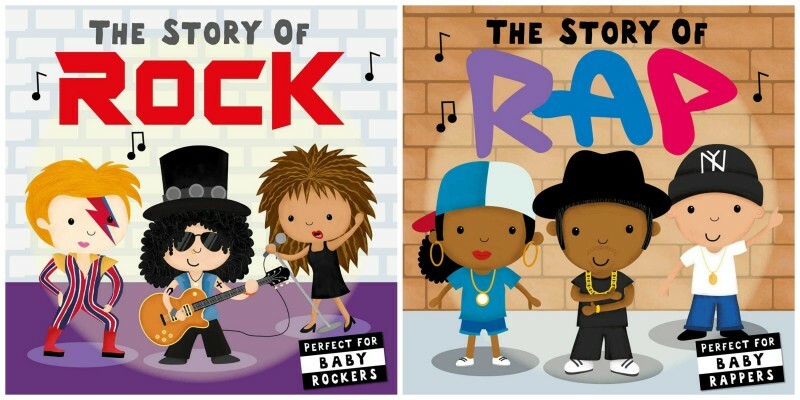 The Story of Rock and The Story of Rap are the first tune-tastic titles in a new series introducing little ones to music history, in fun rhyming text with pop culture references sure to entertain parents and charming illustrations to enthrall little learners. The Story of Rock: From Elvis Presley to Beatlemania, from Janis Joplin to David Bowie—rock has transformed through generations while ringing true with passionate sound. Rock along with the greats in this delightful baby book that introduces little ones to the rockers that started it all! From The Story of Rap: Lay down a baby beat and learn all about the history of rap! From Grandmaster Flash to Kendrick Lamar, rap has shaped generations and brought a voice to the voiceless. Bop along with the greats in this adorable baby book that introduces little ones to the rappers that started it all! These books are just straight up fun, and a great way to introduce our kids to some of the bands and rappers I listened to growing up. Hoo Hoo Who? 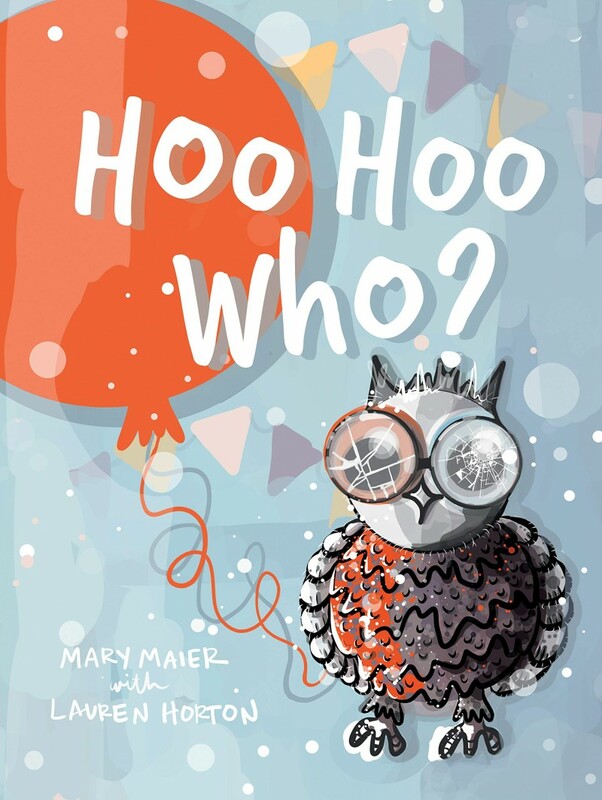 is a catchy and interactive book written and illustrated by Mary Maier with speech pathologist Lauren Horton. Mouse’s Surprise Party is today, but Owl’s glasses are broken. It’s a good thing you came along! Can you use the clues to help Owl figure out which guest is at the door? Hoo hoo who could it be? Children are encouraged to use expressive language while reading this adorable book that focuses on the importance of WH- questions for optimal language development. Straight up adorable and great for learning too, I can’t wait to give this book to our kiddos for Easter! For additional learning resources, you can download and print these adorable FREE Where Flash Cards and Who Flash Cards! Win it: Our friends at Media Masters Publicity are offering giveaways for a few of these awesome books! You can enter the giveaways by following the links below.